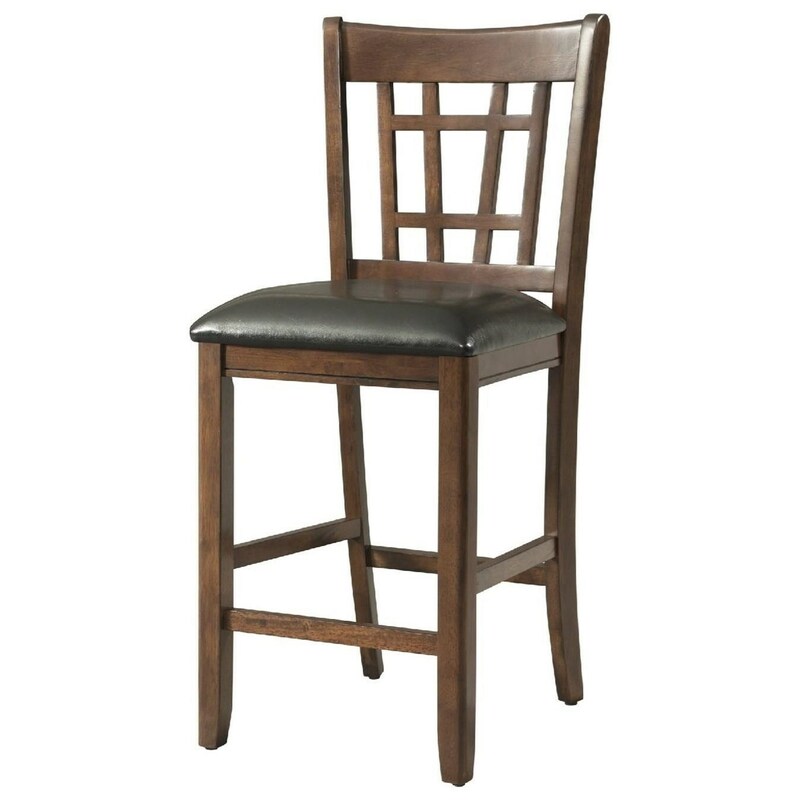 This versatile bar stool will be a charming addition to your kitchen, bar, or dining area. The wooden stool has a neutral finish that will match many styles, and a black faux-leather seat. The backrest has a unique geometric design, matching the pub table in this collection. The Max Counter Height Stool with Upholstered Seat by Elements International at Miskelly Furniture in the Jackson, Pearl, Madison, Ridgeland, Flowood Mississippi area. Product availability may vary. Contact us for the most current availability on this product.